What to Expect the First 3 Months After Retiring! 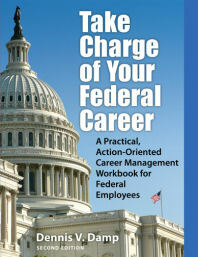 This section outlines what Dennis Damp, the Lifestyle and Employment Forum Host, experienced the first three months after he retired from federal service. You will find short excerpts from Dennis' blog articles that describe what you too can expect from OPM and your agency after you leave. Find out when you can expect to receive your lump sum leave payment, first estimated payment, and your first full annuity check from OPM. It is important to note that this time line can change depending on OPM's workload and the number of retiree applications received by OPM at any given time. This article outlines what to expect the first three months after retiring based on my personal experience. I retired on January 1 a few years back. You will find short excerpts from my journal entries for key events. If you know of anyone that is anticipating retirement or recently retired forward a link to this section to them. Learning to slow down and smell the roses. It has been a week since I retired and I have to say that I’m pleased with my new routine. It has been a little difficult slowing down. I still catch myself pushing to get things done and have to remind myself that I’ll be home tomorrow and can pick things up then. I’m as busy as I ever was, however I’m having a lot more fun with the freedom that you have in retirement. I still hesitate to call this retirement! My routine is to get up at about 7:30 am, make coffee, eat a light breakfast and then commute about 20 feet to my home office... I intend to reintroduce myself to one of my hobbies this weekend and also hang some of my FAA retirement plaques and pictures. Sew up loose ends and starting new activities. …It took awhile, several days after leaving, for the reality to set it – this was going to be my new routine for the foreseeable future. I’m adjusting well and I haven’t had any panic attacks about leaving too early. It is almost like I haven’t missed a beat and there hasn’t been one day where I was bored and had little to do. I called my auto insurance company last week to advise them that I retired and no longer commute. They reduced my auto insurance premiums about 10%. Not a bad deal. With all that said I suppose what is really enjoyable is the ability to forget about doing anything… I went upstairs yesterday at 1:30 in the afternoon to get a cup of tea. An old movie just came on and I sat down and watched the whole thing – in the middle of the day! I haven’t done that in YEARS. I’m sleeping better, more relaxed and oh well, I don’t what to rub it in so suffice to say I’m having too much fun. I received my last government pay check this week and discovered that once you retire you can’t access Employee Express… I called their help line and discovered that retirees are automatically removed from the list when their retirement personnel action is processed. The good news is that at least I know that my SF-50 was processed. I haven’t heard anything from OPM yet but it’s early yet, only three weeks into retirement. 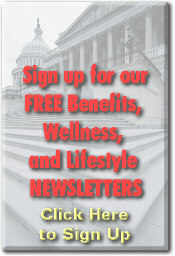 OPM offers similar online services for retirees. However, you need your retirement claim number to log on to their system. Another reason to keep a copy of your statement is that you will have an official document that shows the deposits you made during your career. Correcting last pay errors and first visit back to office. Last Friday Nick and I stopped over at work after meeting for an early breakfast. It was strange going into the office and having to go through a full security inspection and pick up visitor's badges. Our agency administrative officer called this week to let me know that my pay problem will be resolved shortly. They inadvertently charged me 9 hours annual leave instead of coding the 31st of December as an observed holiday. I'm still waiting to hear from OPM. Hopefully, I'll hear from them soon and I should receive my lump sum leave payment by mid February at the latest. I received my first annuity payment on February 2nd and it was about 70% of what I anticipated my full annuity would be. OPM sends out an estimated annuity payment until they review and certify your retirement paperwork... On Wednesday of this week I received a letter from the FAA Human Resource office advising me that my paperwork was sent to OPM on 1/21/05 along with my register number and new pay office number. I was surprised that just one month after leaving I had my first payment automatically deposited into my checking account. The Thrift Plan sent me a summary of my account along with a pamphlet on withdrawal options. I received a pay stub for my lump sum payment only 6 weeks from the day I left, not bad. So far this month I received my first estimated annuity on the 2nd and 448 hours of pay for my annual leave today. There is still one small pay problem left to resolve. I and many others who retired on December 31st were charged 9 hours annual leave instead of holiday (observed) pay. Uncle Sam still owes me 9 hours of annual leave buy back. Our AO is working on the issue and assured me that it was an error and would be corrected soon. Caution: I overdid my exercise routine. I did too much too soon. I may need arch supports to be as active as I want to be. I really enjoy walking and was disappointed that I had to stop my daily walks until my feet heal. Received annuity statement and letter received from OPM. ...I received a letter from OPM explaining the interim deductions and payment process. I also received an annuity statement form R138-23 that looks similar to the pay stub I received while working. There was a large discrepancy between the letter and statement’s federal tax deduction. I used OPM’s federal tax on-line estimator before retiring and my estimated federal tax was about $150 more than the statement indicated however the letter almost doubled the federal tax deduction and my interim check was reduced by the larger amount. I called to clarify the issue early today. The retirement coordinated explained that OPM takes double the tax due out of the first estimated payment. They offered to refund what I overpaid in the next estimated allotment however I declined the offer. I generally owe taxes each year anyway. The letter goes on to say that I will soon receive a W-4P-A form that I can use to adjust my federal tax withholding if desired. It can be difficult reaching OPM by phone especially on the first day of the week. However, just keep redialing the toll free number and you can generally get through. Expect to be on hold for 5 to 15 minutes or more. ..I went online to check my bank account statement and discovered that another annuity deposit was made on March 1st, just like clock work. The annuity check increased because they took out the correct amount of federal taxes this time. My wife and I received new Health Care cards this week. I called Health America to see why new cards were issued when I had already received new cards in early January . They explained that retirees are assigned a different group number. They changed the last digit in the group number to an 8. The coverage remains the same. I still have one outstanding issue concerning my last pay before retiring. Our Administrative Officer called this week and said that the problem will be resolved shortly. OPM processed my retirement application. I received a letter from OPM early this week telling me that my retirement paperwork is complete, and in approximately 4-6 weeks I will receive a booklet entitled, Your Federal Retirement Benefits. The booklet is personalized with the retiree's specific information including related benefits. They also sent me official copies of two forms for my records, my SF-2808 Designation of Beneficiary for my Civil Service Retirement and a copy of SF-2821 Agency Certification of Insurance Status for my FEGLI coverage. WOW!!! Do you remember watching the Wizard of OZ while growing up? Dorothy, towards the end of the movie, clicks her heels together and says over and over again, “There’s no place like home, there’s no place like home, there’s no place like home………” That’s how I felt when I opened my mail this weekend. I received my OPM retirement benefits book entitled, “Your Federal Retirement Benefits.” The letter I received last week said I would receive this in 4 to 6 weeks. It was a pleasant surprise when I opened my mail Saturday to find this jewel. My annuity was exactly $1 less than the estimates I received before retiring. What a relief. The booklet gives you tons of valuable information ─ about all you need to know about your retirement. It includes toll free phone numbers, Internet, and e-mail addresses to contact if you have questions… The only thing that I still need is my PIN number to access the OPM retirement site. The booklet says that it will be sent under separate cover in several weeks. Exactly 3 months after retirement my paperwork was processed and it all came out as planned thanks to a lot of pre planning and forethought. If you want to be at peace in retirement I suggest that you go through the analysis I did, evaluate where you are and where you will be financially when you decide to exit the government. You will find a sample and easy to use evaluation spreadsheet with a free downloadable copy at http://federalretirement.net/retirecosts.htm, Click on "Pre and Post Retirement Analysis." Received OPM web site access PIN number. I received my OPM PIN number last Wednesday, only a few days after receiving my Federal Retirement Benefits booklet and I signed on to the OPM retirement benefits site late last week at www.servicesonline.opm.gov/. You can do just about everything that Employee Express offers employed workers. You can elect a savings bond deduction, initiate various allotments, change benefits, and much more. I was also pleased to receive a final "Statement of Earnings and Leave" from the FAA correcting the annual leave that I was incorrectly charged on December 31st. Overall, I have to say that my initial concerns were unfounded, everything has gone smoothly and so far without a hitch. While reviewing my Federal Retirement Benefits booklet I discovered a very interesting fact that spouses of federal retirees will appreciate knowing. I should have been aware of this but I didn't focus on it until I sat down this week and did the math. When you sign up for full survivors benefits your spouse will receive 55% of your full annuity. Your annuity decreases by approximately 10% when you elect full survivors benefits. What this means is that your spouse will receive 55% of your full annuity and in my case my wife will receive 73% of our current reduced annuity. The only reason I mention this is that spouses know what you get per month and automatically think they are going to get 55% of what you are getting now. That's not true. Your annuity is reduced when you elect survivors benefits. My wife was pleased to hear that she will be getting 73% of what we are getting now, not 55%.. I received a Notice of Annuity Adjustment, form R138-23, in the mail this week. It shows the final annuity with standard deductions for FEGLI, health benefits, and federal taxes. My first full annuity check will be deposited April 1st into my checking account. Last Thursday I stopped in at work to pick up my retirement plaque. I called Long Term Care Partners to check on how to have my Long Term Care payments deducted from my annuity. All they needed was my CSA number. They notify OPM and the deduction will start with the June 1st payment.